There’s more to community food systems than farmers markets. 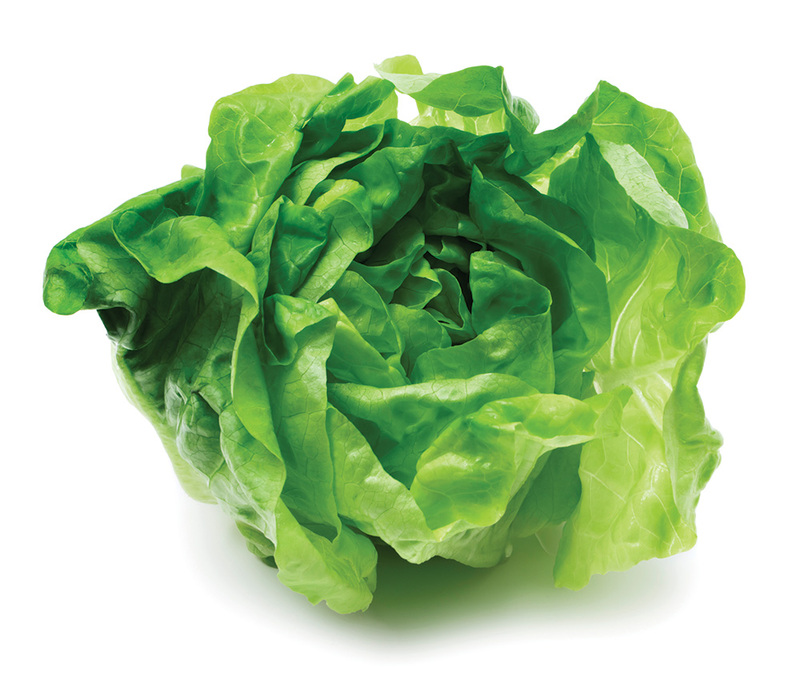 "Butterhead Lettuce" by Creativeye 99/Thinkstock. When planners refer to community food systems, most people think of locally grown food, perhaps purchased directly from the grower. But that is just one part of a system that stretches far beyond the local landscape and encompasses a broader set of actors and policies. Planners across the country are working to transform their local food systems into drivers of sustainability. By empowering communities and consumers to influence what and how food is grown, where it is distributed, and who benefits from fresh, healthy food, planners are leading the way to a more sustainable food system. Seattle is one place that has made a healthy, local, sustainable, just food system a top priority. The city's vision is guided by the five-year Food Action Plan, adopted in 2013. Food is also addressed in the comprehensive plan and the Seattle Climate Action Plan. 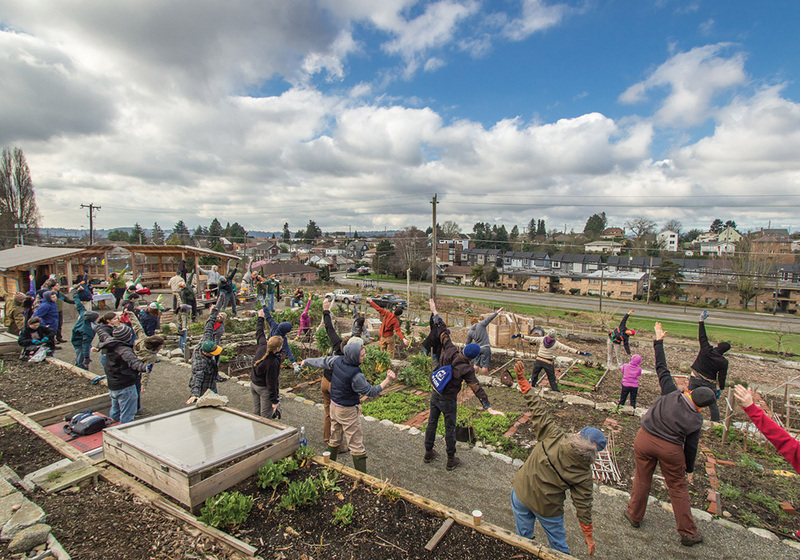 The Food Action Plan lays out specific strategies to get more healthy food to a greater number of Seattle residents, expand opportunities to grow food in the city, strengthen the regional food economy, and reduce food-related waste. The city's Office of Sustainability and Environment oversees implementation but collaborates with multiple city departments to implement programming and policy changes. For example, the Human Services Department administers meal programs for children, homeless youth and adults, and low-income residents. The Parks and Recreation Department has developed community gardens in parks and offers an array of culturally specific food-related programming. The Department of Neighborhoods manages the community garden program and is innovating with new models of urban agriculture, including food forests, urban farms, and for-profit ventures that benefit immigrant growers. The Office of Sustainability and Environment oversees a program that augmented the federal program. Much of Seattle's work on food is influenced by a citywide Race and Social Justice Initiative. "This has led to a strong focus on food access and affordability, which were top concerns raised by the community during the development of Seattle's Food Action Plan," said Seattle's food policy advisor Sharon Lerman in an interview with APA's Food Systems Planning Interest Group. "Seattle is becoming increasingly unaffordable for low-income people and other vulnerable populations; healthy food is one of the first things to go when people struggle financially," she says. Policy changes include the adoption of a goal and suite of strategies to recycle 70 percent of all food waste by 2025. The Seattle Department of Transportation has developed rules for gardening in the planting strips next to streets. Gail Feenstra from the University of California at Davis and Stephen Garrett of Washington State University Extension influenced how planners think about and plan for the community food system by succinctly defining the concept in 1999: "A 'community food system' is one in which sustainable food production, processing, distribution and consumption are integrated to enhance the environmental, economic, and social and nutritional health of a particular place." This definition speaks to the essence of planning practice, because it describes a very complex system rooted in a particular place. It's also broad — encompassing everything and everyone that participates in the production and consumption of food, including subsystems that planners interact with daily ― natural resources and the environment, economics, politics, and sociocultural systems. One common way to think about community food systems is geographically. Among food planners and writers, the term "food shed" has often been used in a similar way to a watershed or an air shed: a geography that describes the local environment affecting what is grown. But food systems supporters have also chosen much smaller scales, such as neighborhoods, for addressing food systems goals. That's the case in Austin, Texas, where a Neighborhood Food Planning Pilot in North Central Austin, funded in part through an APA Plan4Health grant, helped them determine that neighborhoods were the appropriate scale for food systems planning. The North Central area of the city includes a high concentration of children that qualify for free and reduced-price lunches, as well as immigrants, refugees, and other populations often overlooked in traditional planning efforts. People there identify strongly with their neighborhoods, and their already developed relationships with community advocacy groups helped organizers work toward greater food access. Resulting policies include pedestrian planning that considers food access, funding for increasing the availability of fresh fruits and vegetables through school farm stands and mobile market locations, subsidies for the purchase of fresh produce through a Nutritious Food Incentive pilot program, and greater support for community gardens. Stronger social networks also help the neighborhood organize around efforts such as community safety. "We were amazed at how the process gave us a deeper understanding of how you don't just need food retail to ensure communities eat well. You also need safe, well-lit streets with complete sidewalks, reliable public transportation networks, access to health care, education, and jobs that pay a living wage," says Amanda Rohlich, a food systems planner with Austin's Office of Sustainability. "It confirmed our understanding that food systems are complex and cannot be fixed with simple, single-sided solutions, but instead rely on building strong communities where all basic needs are met." 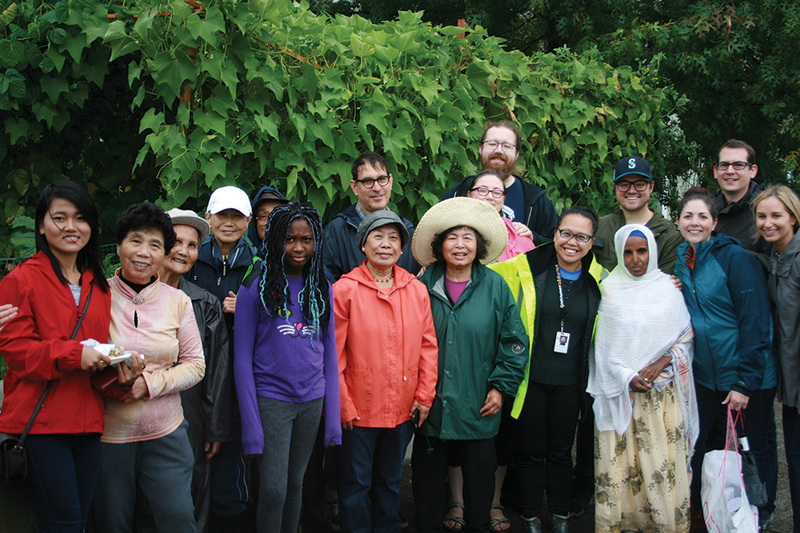 Gardeners and staff members of the Horiuchi P-Patch in Seattle pose for a group photo after a work party. Photo courtesy P-Patch Community Gardening Program, Seattle Department of Neighborhoods. DEVELOP zoning and regulations that support food-friendly cities, such as allowing front yard gardens, urban agriculture, farmers markets, and food carts. CREATE AND ENGAGE in food-related community education that ranges from care of community gardens and food preservation to beginning farmer internships. BUILD stakeholder networks and coalitions, such as local food policy councils, that promote local-scale policy change and coordinate programming. DEVELOP AND IMPLEMENT local financial incentives for local foods and healthy corner store initiatives, and engage in planning for transportation that considers the importance of access to foods. ENCOURAGE food entrepreneurship and help budding businesses by setting up food hubs that help growers find institutional buyers and other activities. ENGAGE in economic development planning that maps out food clusters and supports food tourism. CONDUCT research on the impacts of food systems plans and projects. ENGAGE in water and natural resource planning that ensures sufficient land and water for agriculture and reduces conflicts between farmers, exurban residents, and wildlife. ADDRESS the challenge of siting food waste recycling. Thyra Karlstrom, a senior planner for Marquette County, Michigan, helped her rural county develop a local food supply plan that encouraged county planning commissioners to consider how planning and zoning decisions affect the county's ability to supply food to its population. "These efforts aim to realize farming as a viable occupation and food systems as a stable pillar of our economy." The plan has encouraged townships within the county to pass ordinances that are friendlier to community food systems, including allowing chickens in residential zones. The plan helped the city of Marquette incorporate food systems into its new master plan in preparation for a zoning ordinance overhaul that will include urban agriculture. Karlstrom is encouraged by this progress but says "there is still a lot of work to do." Similar efforts are under way in St. Louis. Brian Hurd is the technical assistance program manager for Rise CDC there, working to incorporate food access, affordability, education, and equity within a much broader community development context. Working in the O'Fallon and Penrose neighborhoods in North St. Louis, Hurd collaborated with the YMCA, the University of Missouri Extension, and Alpha Phi Alpha Fraternity to pilot a summer farmers market in 2015. They built relationships with local farmers, who understood the value of reaching out to these demographically diverse and economically distressed neighborhoods. The partners also developed cooking classes that focused on in-season vegetables, an exercise program to build awareness of the benefits of active living, and a corner store program that brought fresh fruits and vegetables to small urban convenience stores that normally sell less healthy choices. The food access program is part of the city's broader strategic effort to improve public health and sustainability, aligning with the mayor's five-year obesity plan of 2014, and the city's 2013 sustainability plan. "We are working closely with the city planning and health departments and other local partners to move the plan forward," Hurd says. "In the process, we are educating city leaders about the importance of food access, affordability, and equity issues to communities of color and others who are not often represented among those making decisions about food systems issues." Urbanization and the search for more sustainable cities has motivated many planners to focus on food systems work. Indeed, the broad interest in food systems work among planners can be seen in the interest in and attendance at planners' meetings, conferences, and workshops on the topic. The 2005 APA National Planning Conference included a track on food planning — a first. By 2017, NPC in New York included 14 panels related to the food system and a sold-out tour of the Hudson Valley's food shed. This tour demonstrated intersections between food and traditional planning subjects like health, zoning, community development, and transportation. By improving community food systems, many planners hope to further their communities' sustainability goals, the so-called three-legged stool of sustainability. ENVIRONMENTAL. Many people believe that localizing food systems will reduce our dependence on fossil fuels by reducing food imports. Embracing a diverse, localized food system that maximizes sustainable farming practices and rejects the specialized, monocrop production of corporate agriculture supports the sustainability objectives of biodiversity and reduces the use of chemicals. Farms near cities also could help sequester urban carbon emissions, and the proximity of agriculture to cities could encourage food disposal systems — like composting — that contribute to local farms and gardens. ECONOMIC. Community food systems can support local entrepreneurs and farmers, reduce food imports, and increase local control over farmland, seeds, food processing, and food retail — in addition to keeping money in the local economy. Leveraging the multiplier effect of spending for locally produced food could also raise incomes throughout the community. SOCIAL. Food systems promote social sustainability by helping more consumers access healthier food choices by making them available closer to home and allowing alternative forms of payment such as SNAP benefits. They also allow for more of a "food democracy," where people move beyond being mere food consumers to becoming "food citizens" involved in decision making over their own food system. This empowerment may lead to greater levels of engagement on other civic and political issues as well. Community food systems can also build cultural connections. For example, indigenous communities across the U.S. are developing community food systems as a way to recognize their heritage and enhance their food sovereignty. Planning for a strong food system could also improve community resilience. In the event of a natural disaster, localized food systems might mean emergency food is available even if failed transportation infrastructure cuts off food shipments. In the event of an economic disaster such as a massive lay-off, an effective food system can help improve food access for the unemployed. And because building a community food system often involves intense community organizing, the resulting social capital and community networks can be activated to assist in recovery from a calamity. Seattle's Beacon Food Forest gardeners limber up before getting to work. Photo by Jonathan Lee, Subtledream Photography. But not all of the sustainability benefits of community food systems are easily quantifiable, and some sustainability goals are in conflict. For one, the environmental, economic, and social sustainability benefits of localization are unclear. While we might reduce the carbon footprint of food by shipping it shorter distances, local production might require greater inputs of energy and water, and local farms are not necessarily employing more environmentally friendly growing practices. Similarly, while purchasing local food might retain more of the proceeds in the community, small local farms might not be as economically sustainable as those that are larger or part of global supply chains. Localization can also limit consumer choice and may not be inclusive of culturally specific foods or practices. Amanda Wagner, the nutrition and physical activity program manager for Get Healthy Philly, a program of the Philadelphia Department of Public Health, says one of the biggest challenges in community food systems is "identifying ways to address deep-rooted poverty ... while making a livable wage for farmers in our agriculturally steeped region and for workers throughout the food chain." Many barriers limit the extent to which community food systems can scale up to the point where they might have significant impacts on sustainability. The economics of farming, including the influence of many federal and state policies, encourage farmers to specialize, get bigger, and export rather than focusing on the local market. And local food systems are not inherently more socially just. Income inequality forces those with low incomes toward less expensive food choices — often away from locally grown fresh food. While farmland is being developed on the urban fringe, in locations where small local farmers might have easier access to urban markets, potential farmers are competing with developers for this land, and its market value for growing food often cannot compete with its market value for housing. Certainly, these issues are complex. The big lesson here is that while planners have a key role to play, we alone cannot change the food system. We must collaborate with other public agencies and actors, grassroots social movements, and entrepreneurs to strengthen our national understanding and vision of the role of community food systems in a sustainable future. Sheila Martin is a professor of urban studies and planning at Portland State University and director of PSU's Institute of Portland Metropolitan Studies. Megan Horst is an assistant professor of urban studies and planning at PSU. Policy Guide on Community and Regional Food Planning (2007): tinyurl.com/yd8dzld9. Urban Agriculture: Growing Healthy, Sustainable Places (PAS 563, 2011): www.planning.org/publications/report/9026887. A Planners Guide to Community and Regional Food Planning (PAS 554, 2008): www.planning.org/publications/report/9026878. On Demand Education: (1) Urban Agriculture and the Law, 2015 (CM/Law available): www.planning.org/events/course/3031028, and (2) Regulating Urban Agriculture as a Controversial Land Use Discussion, 2016 (CM/ Law): www.planning.org/events/course/9104259. Food Systems resources webpage: www.planning.org/ontheradar/food. APA-FIG (Food Systems Planning Interest Group), with links to resources and blog posts: apafig.wordpress.com. Planning, August/September 2009, special issue, The Food Factor: www.planning.org/planning/2009/aug/.